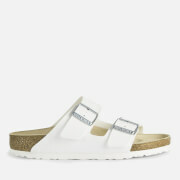 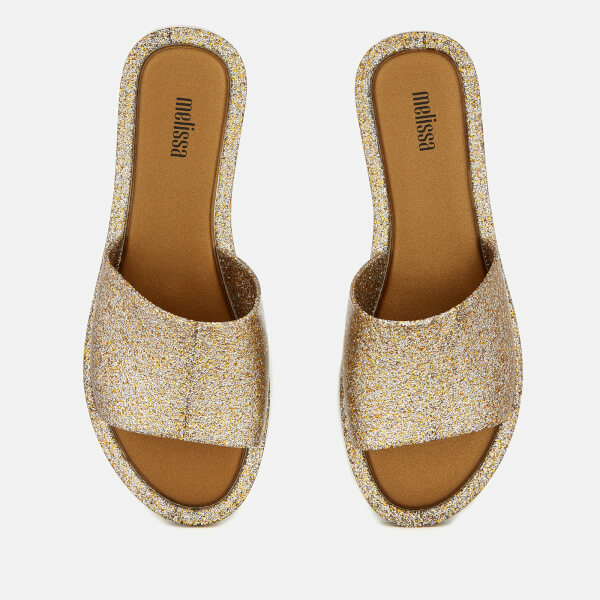 Women's flexible sliders from Melissa. 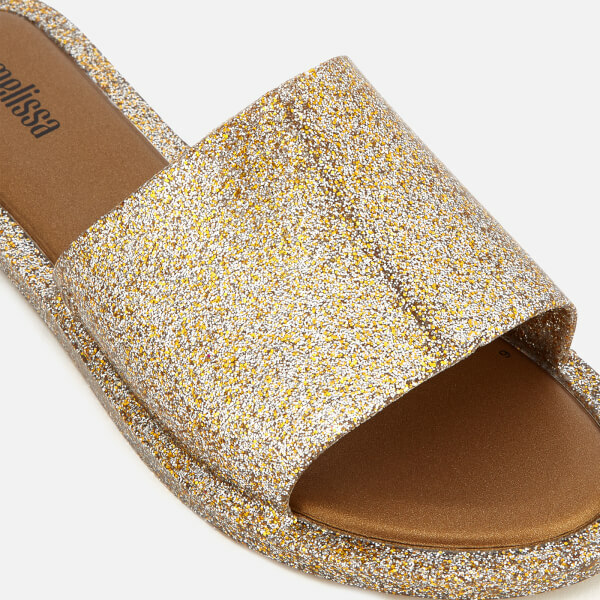 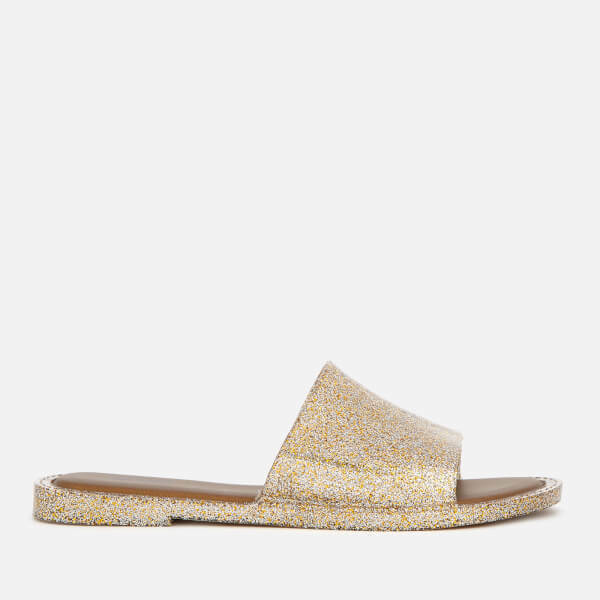 Crafted from gold glitter plastic with a signature scent, the 'Soul' slide sandals feature a wide, bandage style strap upper and a padded footbed for a comfortable stride. 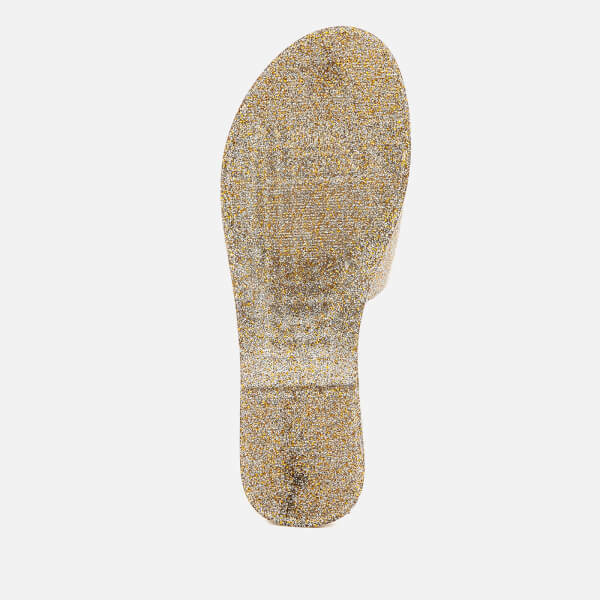 Finished with grooved sole for grip.